Good morning everyone, can you believe it's Monday again? Well it's the start of a new week and a new semester of school. It's actually a little weird to think that in just 4 months we will be done with another year of school. Goodness. We had a beautiful day of sunshine, yesterday. We have a little fog this morning but it's supposed to clear up as the day progresses. I'm kind of hoping the sunshine stays around, because it always makes me feel better. For now just a cup of coffee, my stomach hasn't been doing very well the past few days and I don't want to push it. I might have some toast later. Still very dark outside and with the fog it just looks creepy. Still lounging in my pjs and enjoying my coffee. I hear the train going by outside and it's SO loud at times. Typing up this post and running a mental check list of what I need to do. Needs some TLC, with me being sick practically the whole weekend, I haven't been able to clean as I normally would. I also want to start packing boxes and getting things ready to sell, give away. Laundry....Two loads to fold and put away, one comforter to wash. Cooking.....Making Grilled Cheese Sandwiches for Lunch, and Spinach and Ricotta Shells for dinner. Still waiting on my book to come in. Not sure, though I would like to catch up on Wolf Hall. I did watch two movies over the weekend.....Interstellar which was BRILLIANT, and The Taking of Deborah Logan which was so scary but good. Absolutely nothing, actually I was thinking yesterday that I might be selling my crochet goodies, some of the blankets and dish cloths etc. I have wanted to do that for a while, for I just never got around to it, but with the move coming up, I think any bit of money will help. 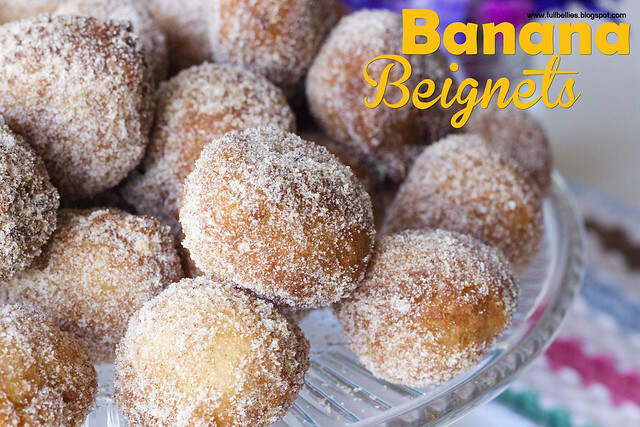 Have a new recipe up on the blog, for some Banana Beignets. SO good, they're almost gone because the hubby and kids have been attacking those like crazy. HOpe you feel better soon and back on the right track. We're working on that over here too. Ugh! I hate this season of bugs! Hope you're feeling better soon and have a great week. We have dense fog here again this morning too with that same promise of clearing though I have my doubts LOL. Hope you feel better soon. The beignets look delicious. Happy Monday! That picture of outside is so lovely. 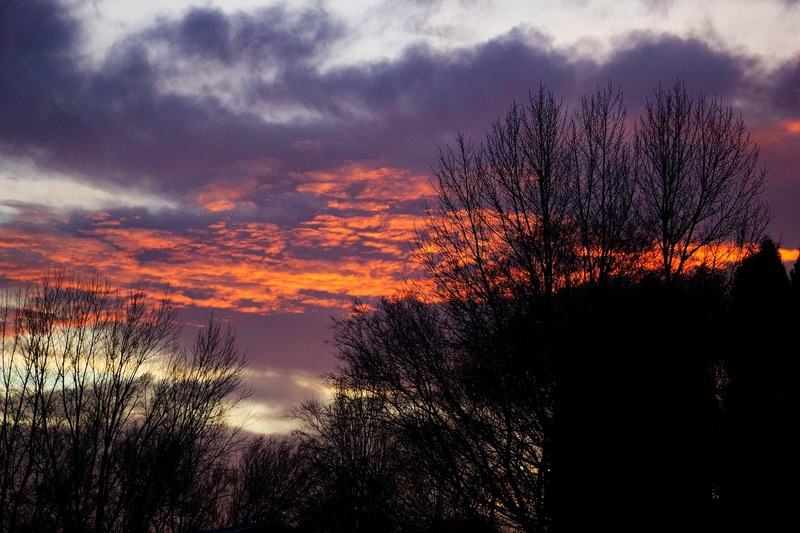 What amazing colors the sky is. I would love to buy a blanket or something if you decide to sell them. You are so talented and your color choices are always amazing. As for the beignets, I'd be too scared to make them because I'd be afraid I'd eat them all, by myself. They really look and sound delicious. Hope you are feeling better! Seems to be so much sickness going around. I just pinned your recipe. Sounds like something to give a try and use up the frozen bananas that are taking up too much of my freezer space.